For more than 10 years, Dell’s Original Equipment Manufacturer (OEM) team has faithfully provided those in our Family Care Program with a Christmas party and gifts in December, but for the past few years they have also thrown the kids in our Campus Life Program a special Back-to-School celebration! Every year before the event, the TBCH kids get pick out a pair of shoes from the Academy in Round Rock and Dell OEM will purchase a pair for each child – their choice of any kind of shoe they like! Then, at the celebration, the kids are each gifted with their brand new pair of shoes for school. 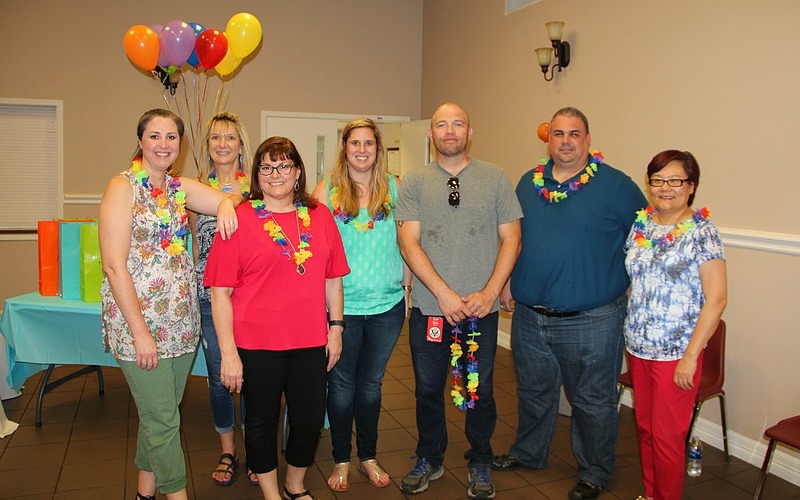 The theme for this year’s celebration was “Fun in the Sun” and everything in the room was decorated in bright colors, balloons, inflatable sea creatures, flowers, and more, helping each kid feel so special and celebrated. The event was catered by The Cupcake Bar which allowed each kid to decorate their very own cupcake however they liked and enjoy it while they tried on their new shoes. Fusion Storm also partnered with Dell OEM to provide each kid with a brand new backpack fully stocked with notepads, folders, pens, and pencils to prepare the kids for school starting up again soon. 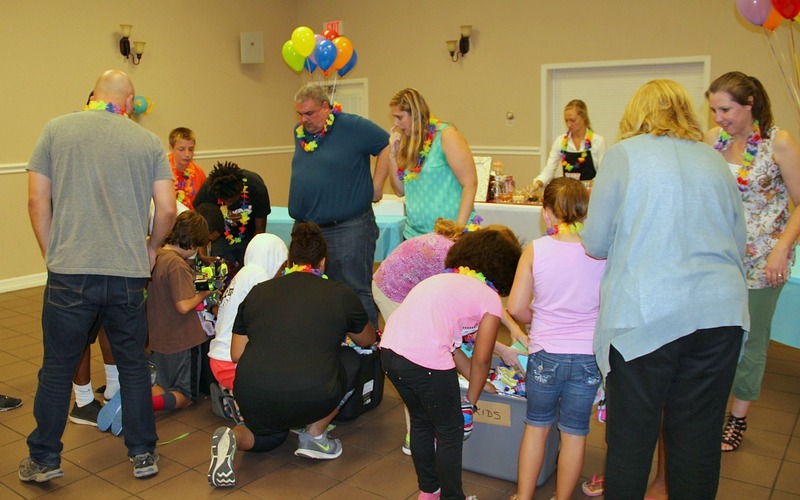 At the end of the Back-to-School bash, the kids even got to pick out a few brand new pairs of “crazy socks” that had been collected and donated by the entire Dell OEM team. It was so memorable to see the look of pure joy on each kid’s face when they opened up their brand new pair of shoes, backpacks, and fun pairs of socks. We are very grateful for the Dell OEM team, and for each company that partnered with them to provide the kids we serve with such great gifts. This will truly be an experience that they will never forget!